You might have seen a few posts recently about different rooms in our house since we moved in a few months ago and we’re finally almost done inside, but we still have plenty to do outside – especially now the weather is getting better. We’ve got a few things that we want to do out the front of our house to tidy things up, but we’re focusing on the back garden first so that we can hopefully sit out there for BBQs and things if this weather continues. Up to now, we’ve managed to get rid of any rubbish that was left, we’ve dug up most of the weeds and tidied up the grassed area so that it looks much neater. So, we’re on to getting some fresh soil put down in the borders, grass seeding some areas that are a bit bare, and then hopefully planting some nicer flowers to finish things off. Hopefully once the majority of the work is done then we can start on the fun stuff and look for furniture to fill the garden with. 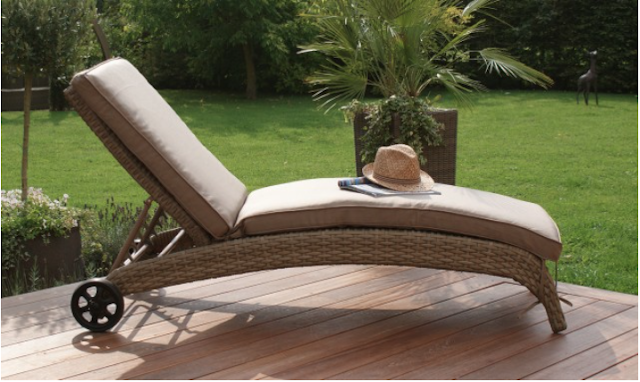 We’ve been looking online for quite a while and have tried to get some garden inspiration from wherever possible. 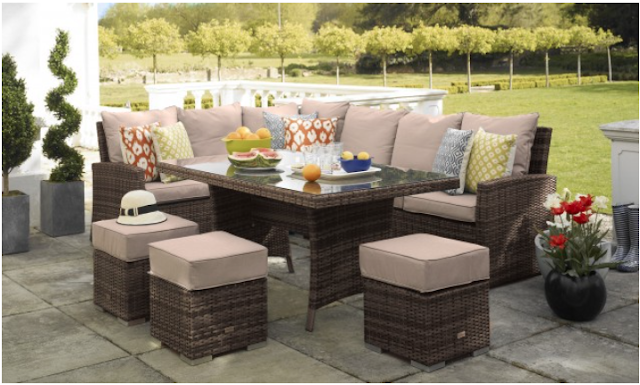 We have decided that we would really like a dining set of some sort so that we actually have somewhere to sit and eat properly, but we need to be careful about what we pick as the decked area where we would put it isn’t huge. 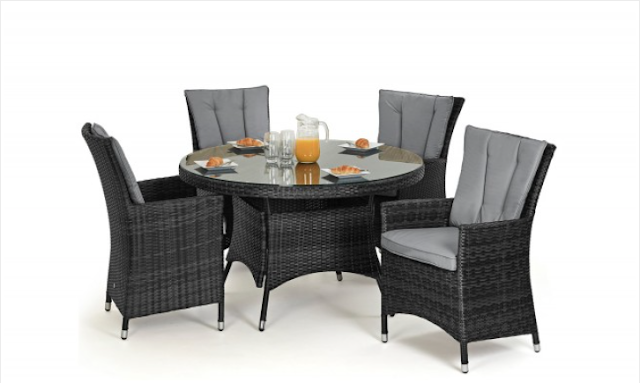 We saw this Rattan dining set and thought that it would be quite a good fit. Plus, as it is quite neutral in colour we thought that you could always add different cushions and table accessories if you wanted to change the look later down the line. We would also really like more of a relaxed seating area with comfortable sofas and a coffee table as Alex’s parents have something similar in their garden and once we’ve eaten it’s really nice to sit and relax there if you want to stay outside. Unfortunately, we wouldn’t have quite enough space in this garden to fit all of that in without it looking too cramped, plus I don’t think our dog would be too impressed if we left him with no space to run around in! It might have to be something for our next garden. Once we have sorted the furniture though it will just be a case of some accessories to finish things off so any suggestions would be much appreciated. They need to be puppy friendly though or they will be eaten by Bentley!